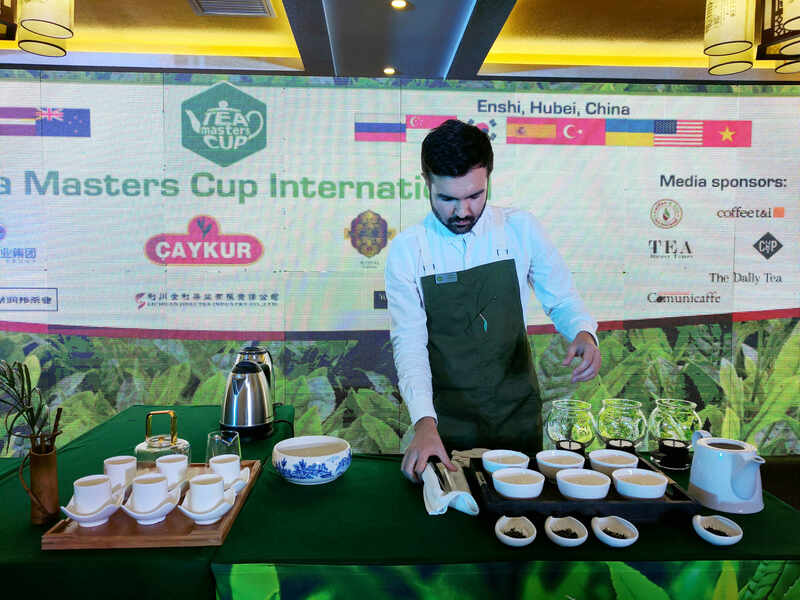 The 2017 Tea Master’s Cup Finals took place September 25-27 in Enshi, Hubei China. 29 participants from 13 countries competed in 4 categories: Tea Preparation, Tea Pairing, Tea Mixology and Tea Tasting. 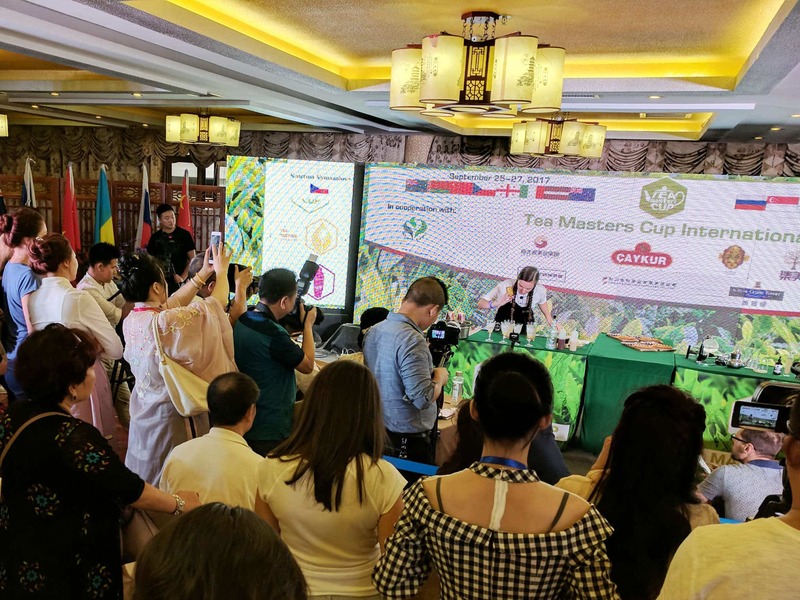 The competition took place within the 7th International Tea Forum run by the CFNA (China Chamber of Commerce for Import/Export of Foodstuffs, Native Produce and Animal By-products). 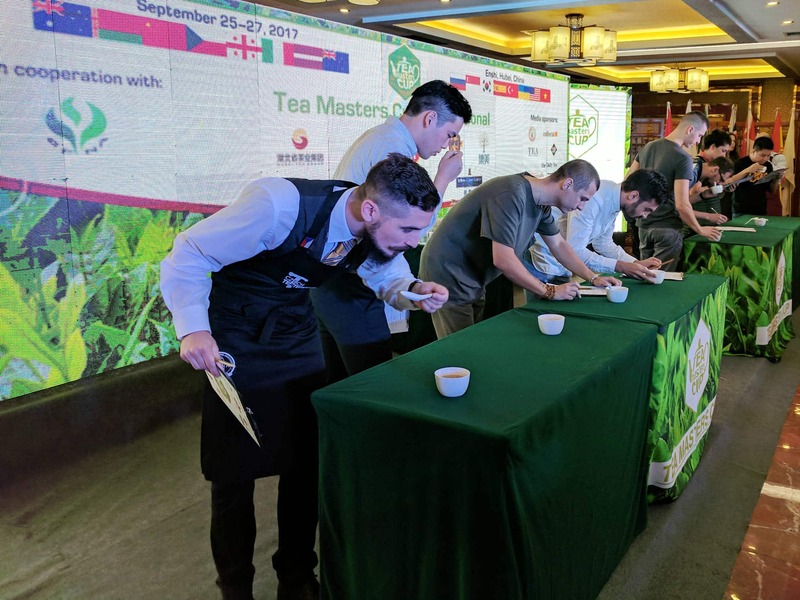 The finals were judged by a panel of tea experts from around the world: Denis Shumakov from Russia, Tony Gebely (yours truly) from the USA, He Jie from China, Sharyn Johnston from Australia, Gabriella Lombardi from Italy, William Lee from Korea and Nguyen Thi Anh Hong from Vietnam. The competitors that participated in the finals had previously won national competitions in their home countries. Tea Master’s Cup is truly at the forefront of innovation in the tea industry. No other organization brings together this number and caliber of tea professionals from such a wide range of cultures and experience. The tea preparation category was made up of two parts, each judged in the same manner. In the first part, the tea master had to choose a tea to prepare from a selection of 3 teas provided by the judges and prepare that tea using provided tea ware. In the second part, the tea masters prepared their own tea using their own tea ware. The tea preparation category was judged on brewing and serving technique, presentation aroma, taste, and aftertaste. The winner of the tea preparation category was Dmitriy Filimonov, leader of the tea department in the GoodWine company in Ukraine. Dmitriy prepared a 2017 First Flush Darjeeling tea from Goomtee Estate using a preparation method he called “differential extraction.” He described differential extraction as a method he invented to control the taste of the head, the body, and the tail of the tea. For this, he used 3 Hario Globes stacked on top of one another, each contained some dry tea leaves. He poured hot water into the top globe, allowed it to steep for a time, then released it into the second globe and then the third globe. Finally, the resulting infusion was released into a tea pot below the stacked globes. Andrei Ivanov of Latvia took second place and Daineko Alissiia of Russia took third. The tea pairing category was also made up of two parts, each judged in the same manner. In the first part, tea masters were given a selection of local ingredients and 3 local teas. The master must derive a food pairing using the provided ingredients. In the second part, the tea master could bring his or her own ingredients and tea to prepare a pairing. The tea pairing category was judged on neatness and cleanliness, appeal, presentation, taste and potential. The winner of the tea pairing category was Andrei Ivanov from Latvia who paired a 2008 Menghai with Mandarin Orange topped with a slice of fresh ginger and fresh chili pepper and drizzled with honey. There was also a stone that had been scented with pine oil. Andrei wanted to hit on notes that were bitter, sour, salty, sweet and spicy. 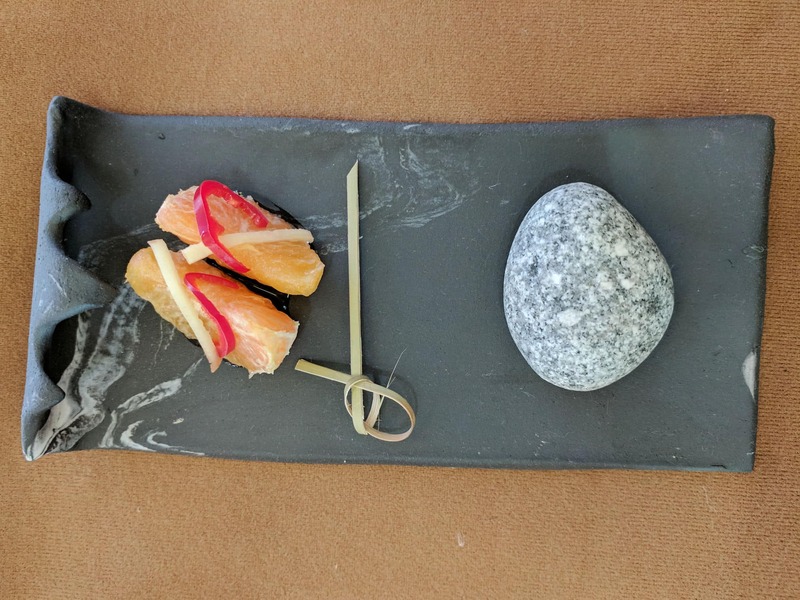 The pairing was elegantly displayed on a clay slab. The tea ware he used was made of the same clay, made in Korean Style by a Latvian artist. Andrei talked us through his pairing and evoked images of a Latvian forest and the Baltic Sea. Dorothy Chan of Australia took second and Dave Lim of Singapore took third. The tea mixology category was also made up of two parts, each judged in the same manner. In the first part, tea masters were given a selection of ingredients and had to prepare a mixed beverage from the ingredients and a tea of their choice. In the second part, the tea master could bring his or her own ingredients and tea to prepare a mixed beverage. The tea mixology category was judged on preparation and presentation technique, appeal, presentation, organoleptic qualities, tea synergy, and potential. Valerio Vitiello of Italy took second and Tatyana Filimonova of Russia took third. 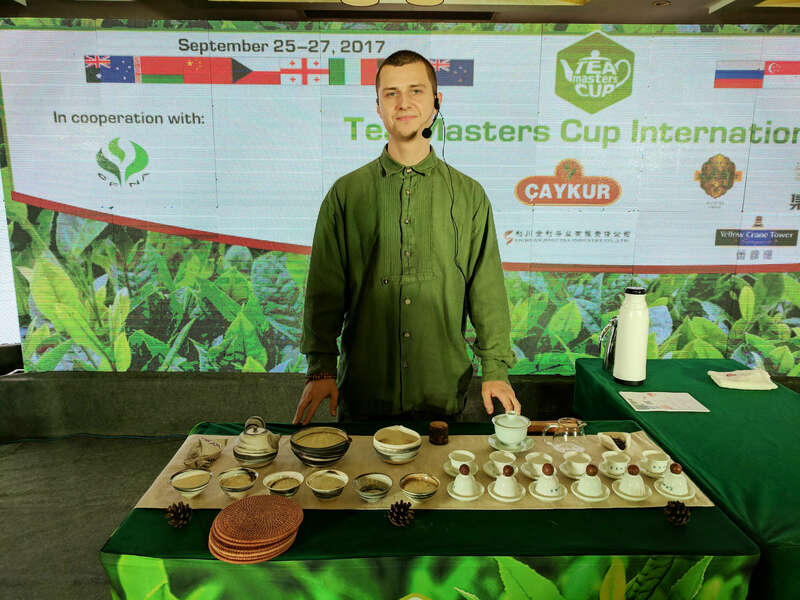 Jakub Rysavy of the Czech Republic guessed 4 out of 5 samples in the single tea variety round, and 2 out of 3 samples from the multi-component tea round. Andrei Ivanov of Latvia took second and Dmitriy Filimonov of Ukraine took third. 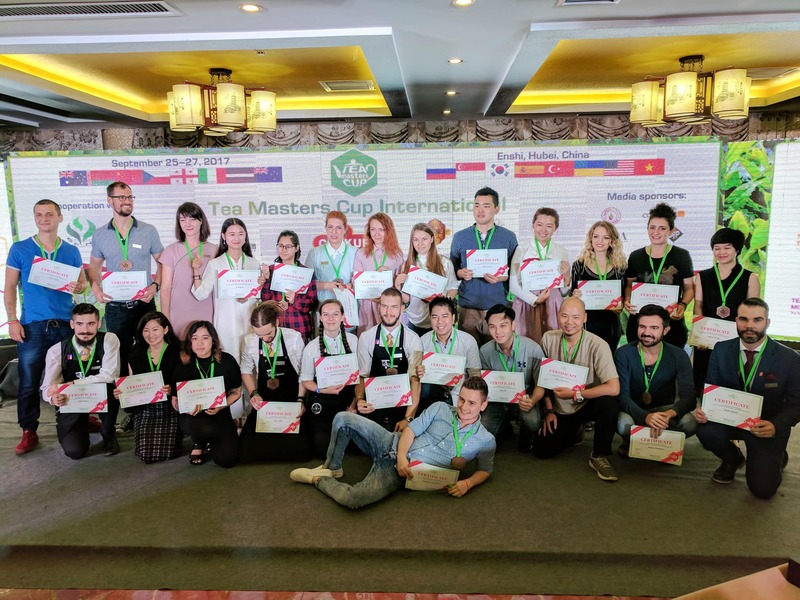 Congratulations to all of the winners, let the 2017-2018 Tea Master Cup Cycle begin! Tony, were England, Japan and India invited and just didn’t attend or what’s up with their absence? Was interesting to read about…cool you got to attend/judge. I wonder if any of these competitions/prizes will rise to the top (if they aren’t any already) in the sense that tea drinkers sort of recognize/anticipate them every year. That’s because these were the finals and to participate in the finals, the contestants had to win national competitions. England, Japan, and India did not hold national competitions for the cycle that ended in Enshi. This is a young organization and more countries participate each year. I hope to see more join in at the national level so that we can see better representation at the finals. Cheers!